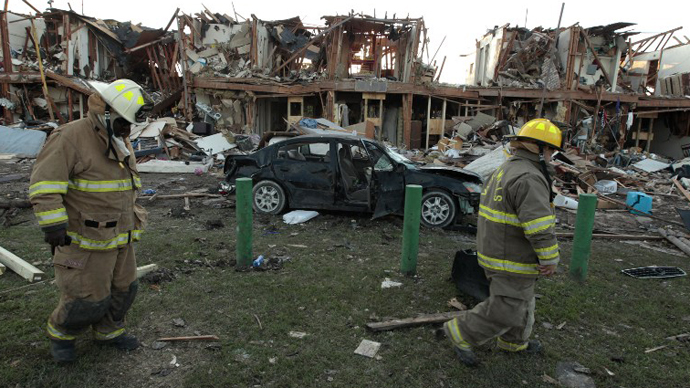 Authorities have begun identifying the victims of last week’s massive fertilizer explosion in West, Texas, and the majority of men killed in the catastrophe were local rescue workers. 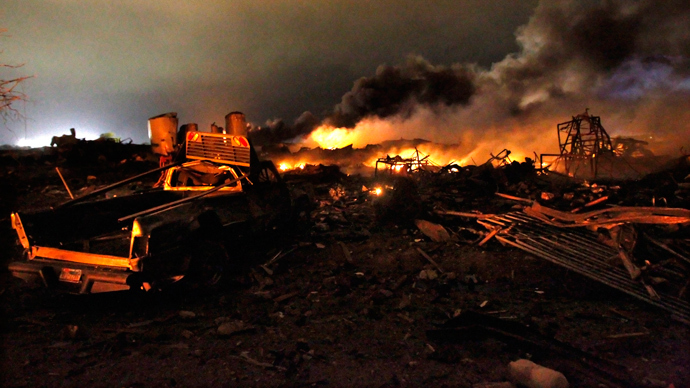 So far 14 bodies have been recovered from the site of the former West Chemical and Fertilizer Co. outside of Waco, Texas, where a gigantic explosion late Wednesday night leveled the facility and the surrounding homes and buildings for blocks in each direction. 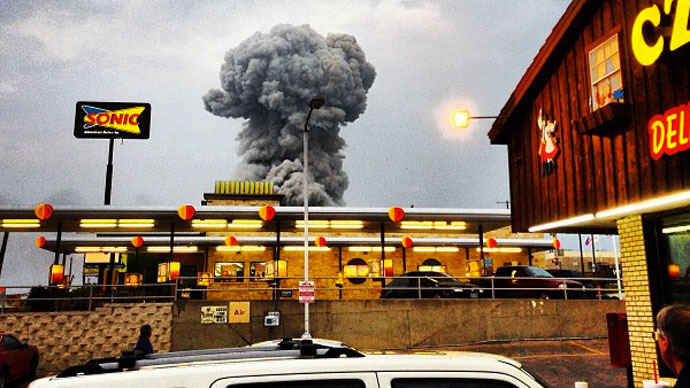 At least 11 of the men who perished in the fire and the subsequent explosion were first responders, the Dallas Morning News reports. That number has been confirmed by the Waco Tribune as well. Among the 11 emergency workers killed in the blast were three men — Cyrus Reed, Jerry Chapman and Perry Calvin — who raced out of a volunteer firefighter training seminar Wednesday evening in order to try and extinguish the blaze. Also identified as killed in the blast is a list of other local men who proudly served as non-paid first responders for the town’s volunteer fire department. One of them, 52-year-old Kenny Harris, doubled as the fire captain for the city of Dallas and is believed to have rushed to the factory while off-duty; two others, Robert and Doug Snokhous, were brothers. "Doug and Robert could always be seen together, whether they were hunting, working on cars, golfing or cooking barbecue at the volunteer fire departments cook-off," reads a statement penned by members of the Snokhous family following Wednesday’s blast. Christina Rodarte, a 46-year-old West, Texas resident who has lived in the small town of 2,800 people for most of her life, told the Dallas Morning News that nearly everyone in the close-knit community lost someone in the blaze. "We know everyone that was there first," Rodarte said. "There's no words for it. It is a small community, and everyone knows the first responders… all volunteer." County music singer Willie Nelson grew up outside of West and has vowed to donate the proceeds from an upcoming area concert to the town’s volunteer fire squad. In a statement published on his website, he recalls as well the closeness that made West a special place for roughly 2,8000 residents. “These friends and neighbors have always been and are still a part of my life. My heart is praying for the community that we call home,” Nelson said. In addition to the volunteer firefighters that have been named as casualties of Wednesday’s explosion, the owner of a local welding operation and the proprietor of a nearby fencing company were also killed. 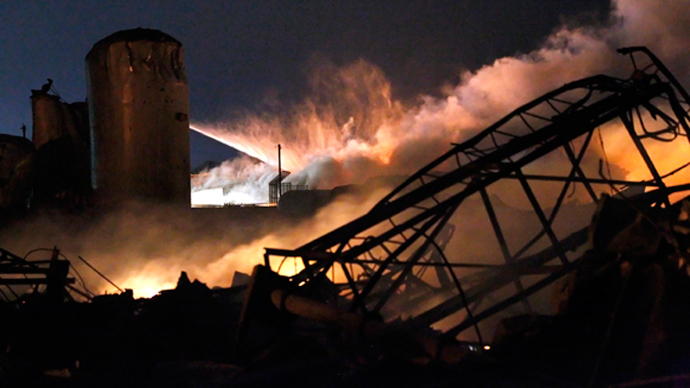 Several others remain missing, and investigators expect the death toll to rise as the rubble of the fertilizer plant is carefully searched in the days to come. Roughly 200 people were injured in the blast, and as many as 75 homes were significantly damaged. The Associated Press has since reported that the West Chemical and Fertilizer Co. hasn’t been inspected by the Occupational Safety and Health Administration (OSHA) since 1985.